Tyler Goodale is Lead Strength and Conditioning Coach for the Canadian Sport Institute Pacific where he works with national team athletes from Rowing Canada, Swimming Canada, Diving Canada and Rugby Canada. 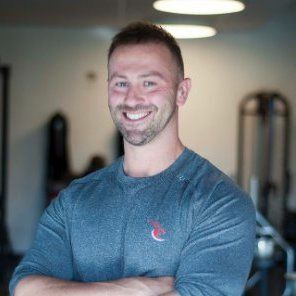 A graduate of both the University of Manitoba and the University of Victoria, Tyler is also a Certified Strength & Conditioning Specialist with the NSCA, as well as a NCCP certified Olympic Weightlifting Coach. 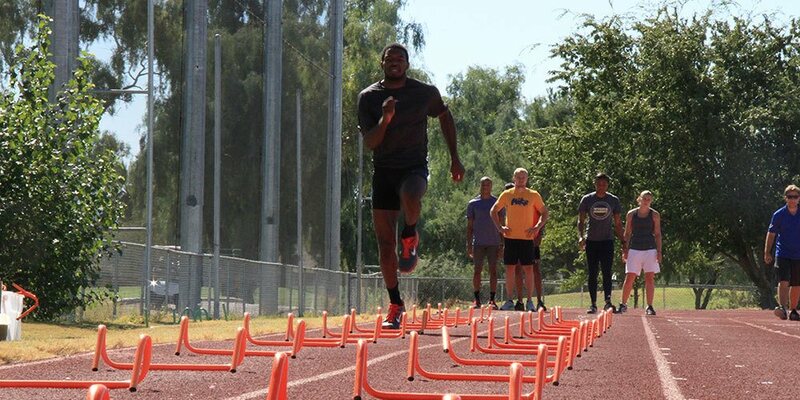 Following a week onsite attending the Apprentice Coach Program, Tyler reflected on his time at Altis, and shared some thoughtful insights into how he feels his time onsite will impact his future practice. “Recently I was lucky enough to get to attend Altis for their week long Apprentice Coach Program. This was a an opportunity I had been looking forward to for a long time as I’ve always wanted to be able to spend some professional development time with both Dan Pfaff and Stu McMillan. I’ve known Stu for a while as we’ve both worked in the Canadian sport system together and have had some opportunities to exchange knowledge. When those opportunities arose I was always impressed with Stu’s thought processes and wealth of experience; another benefit of these times was I always got to have a little peak into what both Stu and Dan were doing. These conversations were always like little teasers which served to further pique my interest in Dan’s thinking and processes … so when the WAC was founded and I saw there would be apprenticeship opportunities, I knew I would regret not coming down and experiencing a true total immersion experience with elite coaches. I saw this as a chance to further refine my craft by learning from top level people who have been having success for years across multiple systems. I’ve worked in the Canadian Sport system now for a little over 8 years, in this time I’ve worked at Canadian Sport Institute (CSI) – Canada’s multi-sport Sport Science and Sport Medicine service provider organization. Currently I am the Integrated Service Team (IST) Lead for the Canadian Women’s Sevens program. In this role I work both as a practicing sport scientist and strength coach as well as overseeing our sport medicine and sport science staff. One of the greatest benefits of working in a multi-sport institute has been the cross-pollination of knowledge one receives from other coaches, practitioners and sports. If I had not grown and evolved as both a coach and scientist in a multi-sport environment I know I wouldn’t even be half the practitioner I am today. As a result of coming up in through this system and experiencing first-hand the benefits of learning from others in different sports, I quite often look to do my development training in sports other than those I work in. Also I believe if one is looking for a competitive advantage over others in any given sport, it will most likely not be found in the sport itself due to the monkey-see monkey-do nature of elite sport. Therefore, even though I work within team sports, I knew spending time at an elite track and field training center would be of huge benefit. As a coach, my training philosophies have always been heavily influenced by the world of athletics; I’ve always felt that some of the best coaches across all sports come from athletics as the athletics coach has to have a high degree of knowledge across a vast array of disciplines, as oftentimes the support team in and around the athletics coach is limited. This leads to many of them becoming what myself and my colleagues at the CSI term the ‘master generalist’. So coming down to Arizona I didn’t know exactly how I would benefit from the experience – I just knew I would. I knew that success leaves clues, and that when people are successful repeatedly across sport disciplines and in a variety of different of different situations (countries, federations, etc…) with a number of different athletes, something good must be happening and there has to be something that can be learnt from these individuals. Hands down the best part of the experience was that you were totally immersed in the day to day of the WAC. The curtain was opened and there were no secrets – you were made to feel welcomed and part of the team. Not only were you allowed to ask questions of coaches and athletes, your own expertise was sought out in certain areas – this created a true open learning environment that was massively beneficial. From my week in Phoenix, I saw what I felt was a truly integrated high performance training environment, where all those involved were working around the athlete and what was best for their success. I saw top level master coaches working together (Stu, John, Nick, Andreas and Dan), advising one another and learning from one another – there was literally no ego and any resource at the centre was a valued one. This led to a very thorough thought process and problem-solving approach to each athlete and their specific performance needs. Another benefit for me was to see the performance therapy model in action – I’ve talked to Stu about this and read his posts on it in the past, so had a bit of a feel for the concept, but to see it in practice was something completely different and really increased my depth of understanding on the process. I learnt the value of a network and how to use that network to really help the athletes you get to work with – speaking with Dan you realize not only his own personal depth of wisdom but how much wisdom has been imparted to him by others. The athletes and coaches at the WAC were not only benefiting from the shared brain trust at the center but of a worldwide brain trust developed and nurtured by all the coaches there. I saw how all the coaches had attention to detail and that no matter was considered too small not to be considered. Finally, I really appreciated the opportunity to just watch some great coaches’ coach and to pick up little things here and there around their approach; how they teach, lead, plan and interact within their environment. Tyler Goodale is on Twitter – give him a follow.